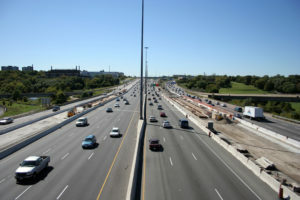 In 2012, the Cities of Brampton and Vaughan and the Town of Richmond Hill joined together to produce an innovative set of Sustainability Tools to be used as part of the planning process. 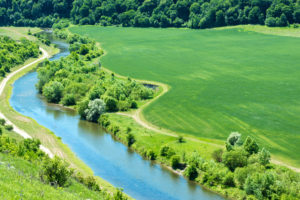 By integrating Sustainability Tools into the planning process, the municipal partners are taking the road less travelled and daring to dream that a “menu” of small actions, when repeated over and over, will make a more measureable improvement to the function of the built environment than the traditional “big infrastructure” approach. The partnership established a funding and collaboration model that enabled the municipalities to leverage resources across political boundaries toward a common purpose, including receiving partial funding through the Federation of Canadian Municipalities’ Green Municipal Fund. Refining the planning process to focus on smaller actions upfront using a clear set of Sustainability Tools has the potential to transform and advance both municipal staff and the development industry’s thinking of what a more sustainable community looks like in Brampton, Richmond Hill and Vaughan. Since integrating these Sustainability Tools into the planning process, the municipal partners have shared lessons learned at a number of Clean Air Council workshops and conferences. 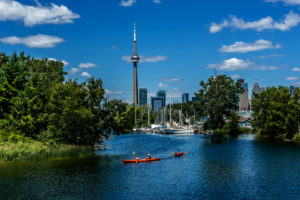 Through these presentations, another new direction has emerged – the idea of “regionalizing” the use of these Sustainability Tools as part of the planning process across the GTHA. The collaboration was initiated through the work of the Clean Air Council and received the 2014 OPPI Excellence in Planning Award in the Research/New Directions category. The transfer of the sustainability metrics to other jurisdictions has been tested and promoted with other Clean Air Council members.